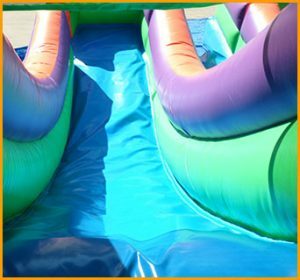 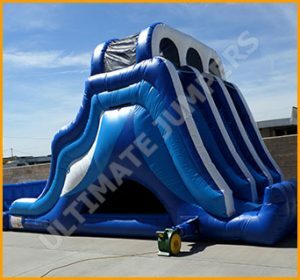 This inflatable 16′ single lane slide is specifically designed by the manufacturers of Ultimate Jumpers to bring the kids hours of safe fun. 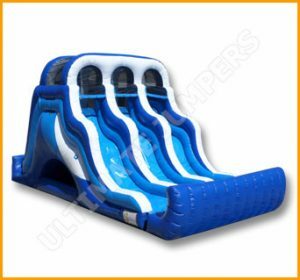 Kids like climbing, sliding, falling down and then climbing and sliding all over again on slides such as this one. 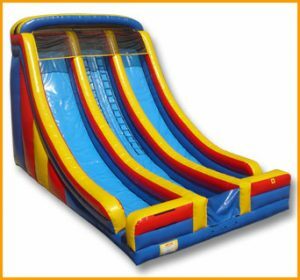 It is absolutely incredible to watch kids having awesome fun in this colorful interactive slide. 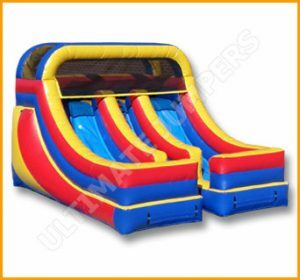 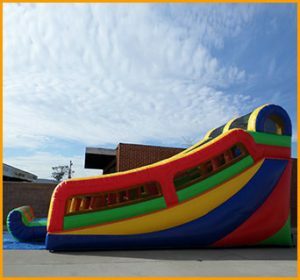 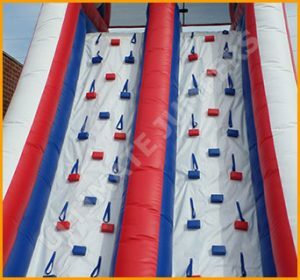 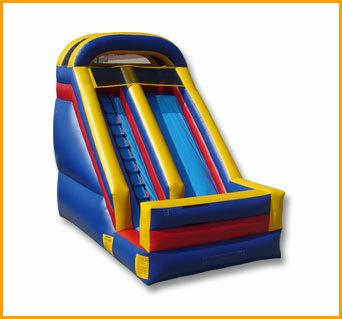 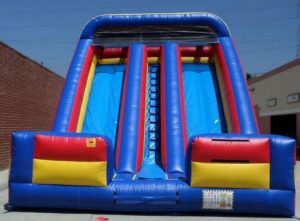 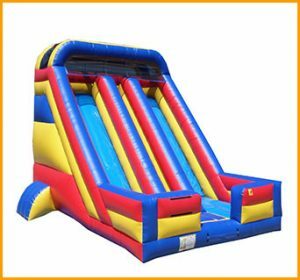 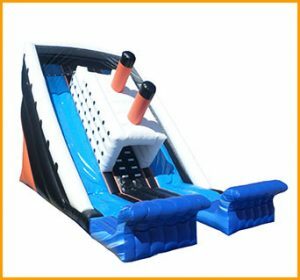 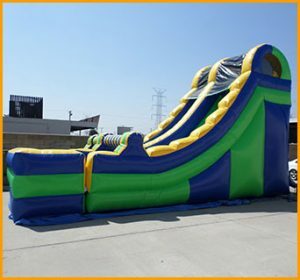 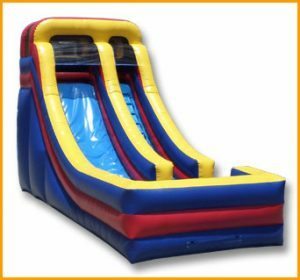 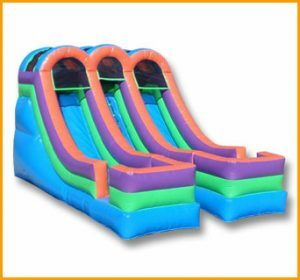 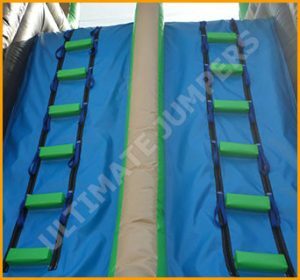 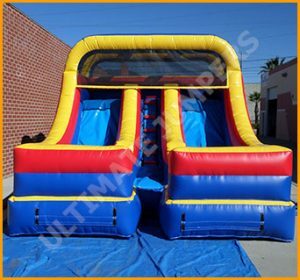 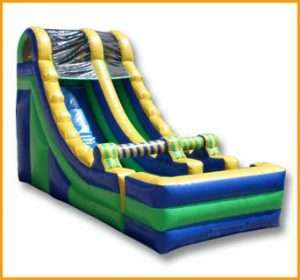 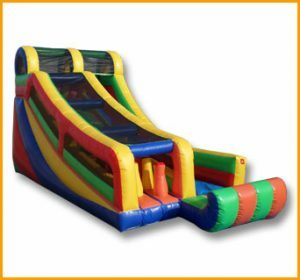 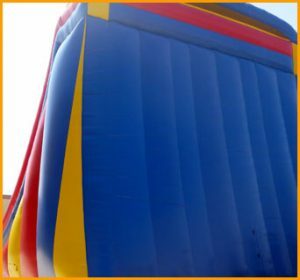 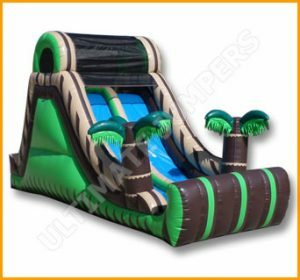 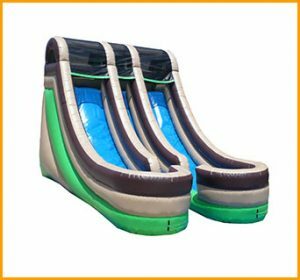 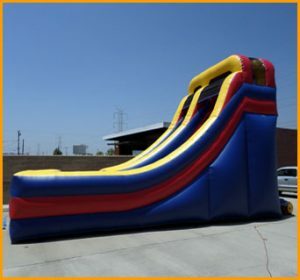 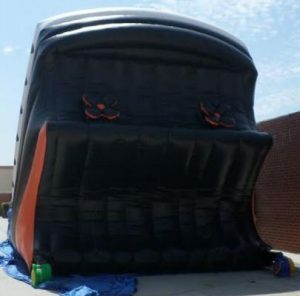 This inflatable 16′ single lane slide is specifically designed by the manufacturers of Ultimate Jumpers to bring the kids sheer interactive satisfaction and safe fun. 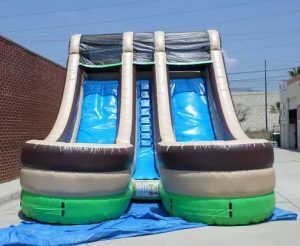 The size of this slide makes it ideal for set up in smaller spaces. 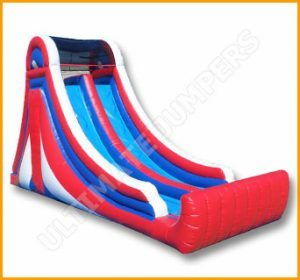 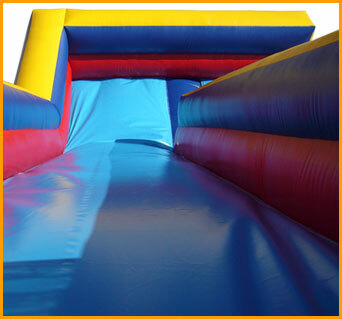 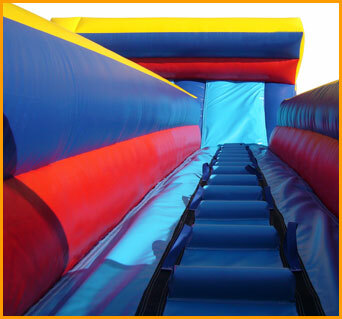 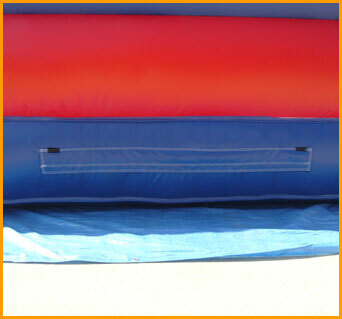 This slide is durable yet affordable, just like any other inflatable manufactured by Ultimate Jumpers.